Neewer vocal booth for mounting behind the microphone. 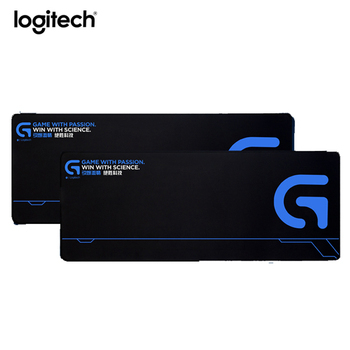 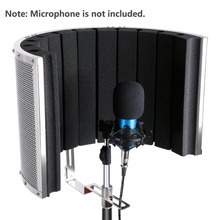 It designed to help minimizing the undesirable hall reflections,noises and echos in order to obtain a very “dry” vocal or instrumental recording signal. 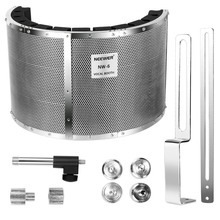 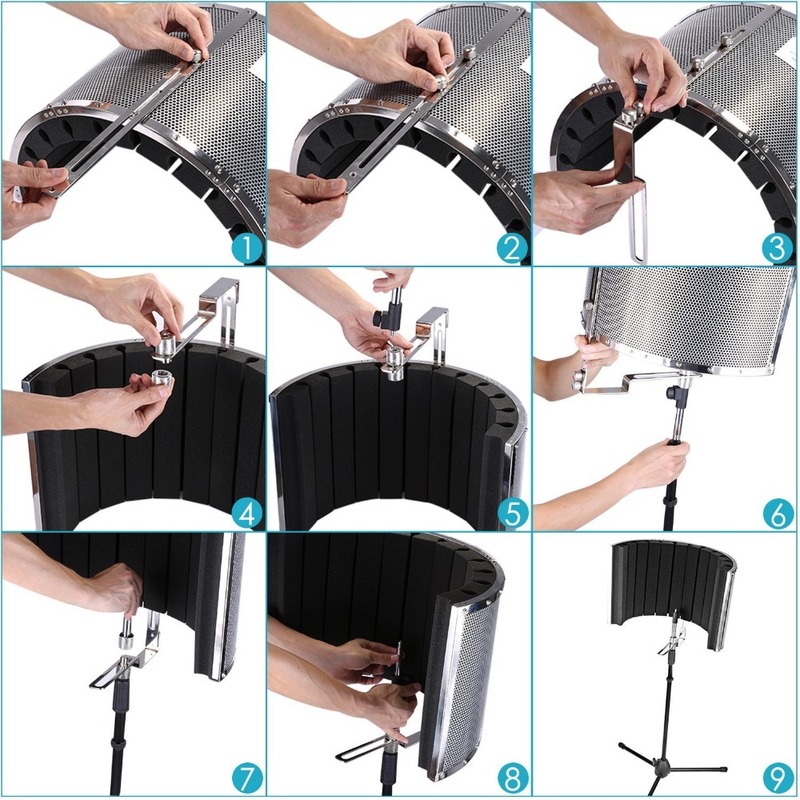 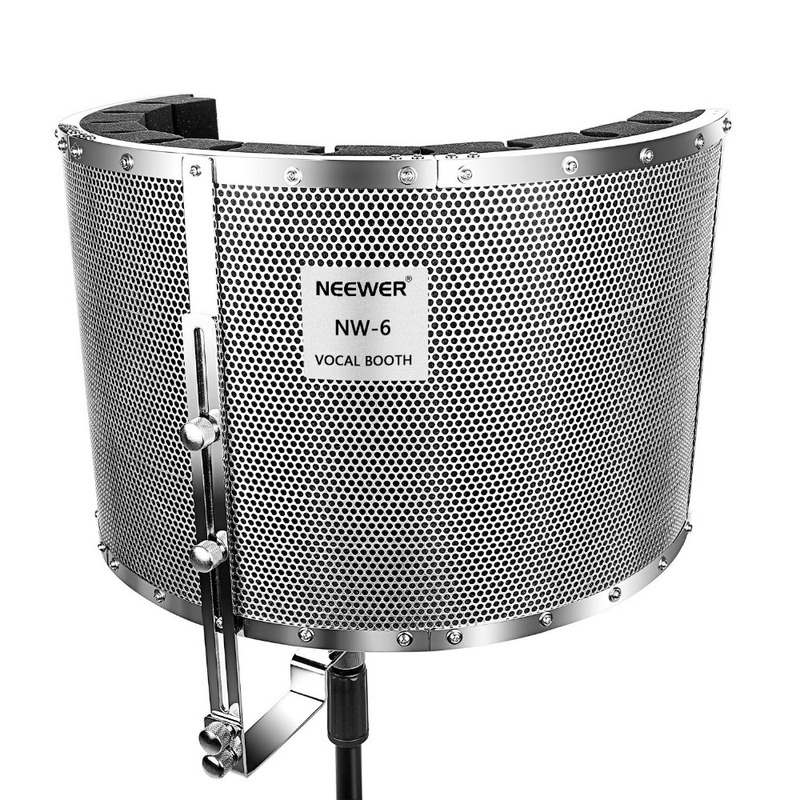 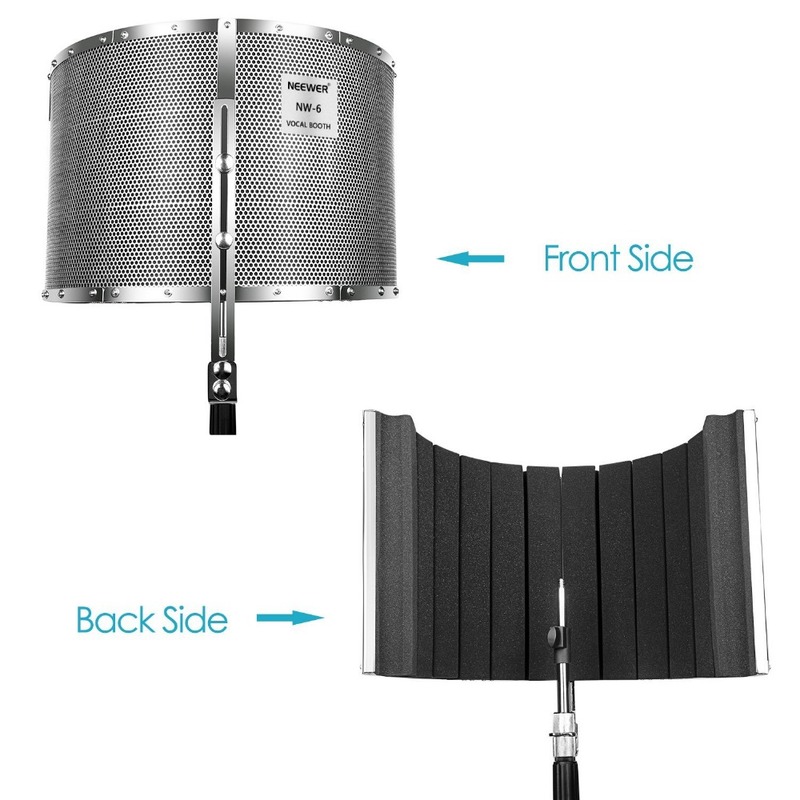 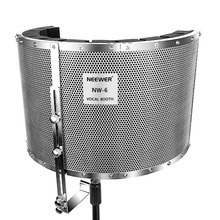 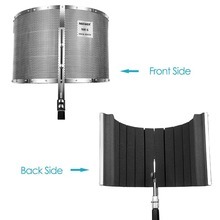 This filter allows good recording results even under unfavorable ambient conditions without having to take complicated measures to reproduce studio conditions or an acoustical insulation.It features a lightweight and rugged construction with high quality soundproofing materials and can be mounted on all conventional microphone stands ! 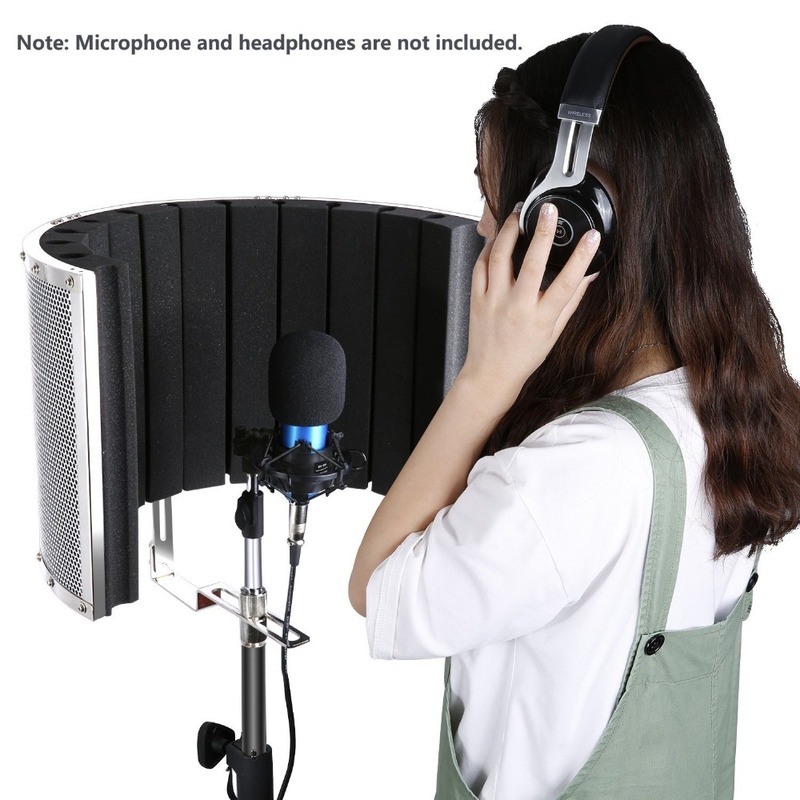 Note:the microphone is not included.